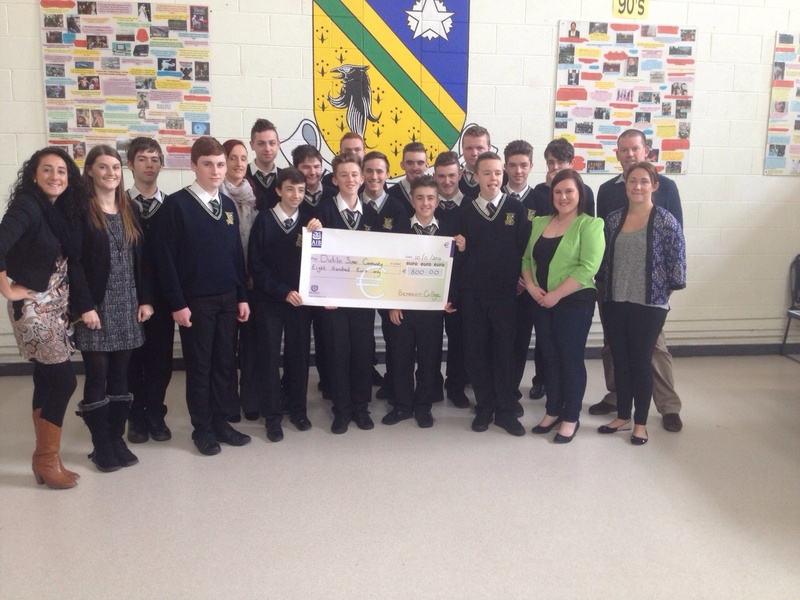 Transition Year students and some of the teachers who took part in the 5 mile fun run in aid of the Simon Community presenting a cheque for €800 to Carla from the Simon Community. Carla also stayed to give a very interesting talk on the work of the Simon Community. Well done to all who took part.